Cabrera in Benjamin Millepied's Daphnis et Chloé. Yan Revazov, Courtesy Staatsballett Berlin. You left Mexico at 16 to attend the English National Ballet School. How did your family react? My roots are very poor. I have family who live in the countryside; they never saw this as a career. When I left, they thought my parents were crazy. Later I came back to Mexico as a principal to perform. It was the first time some from my family had seen me dance and been inside a proper theater. They were really surprised. I think they finally understood. Who were your role models as a student? I went to England with a small complex. I was always watching the dancers, with their beautiful European bodies and long legs—that was my idea of a ballerina. My teacher once told me, "You look like a fly on a cake," because I am dark. So it was hard for me to find role models. Cabrera in Staatsballett Berlin's "Don Quixote." Courtesy Staatsballett Berlin. You were named an ambassador of Mexican culture. Why is this important to you? It makes me proud because I get to represent my country. Your family, your roots, the traditions, everything that makes you a human being has to do with the place you come from. Wherever I go, I talk about how rich our country and culture is. That's my duty to Mexico: to represent it in the best way. You created the Elisa Carrillo Cabrera Foundation to allow other Mexican dancers opportunities to train abroad. Can you talk about the annual gala you host to support it? My gala is called Elisa y Amigos, and it's part of the Danzatlán Festival. We come together like fiesta, we have fun, and we offer the best to the public. I love seeing the guest dancers enjoying my country, giving us something, and taking something back. What is your favorite role to dance? I have a few. 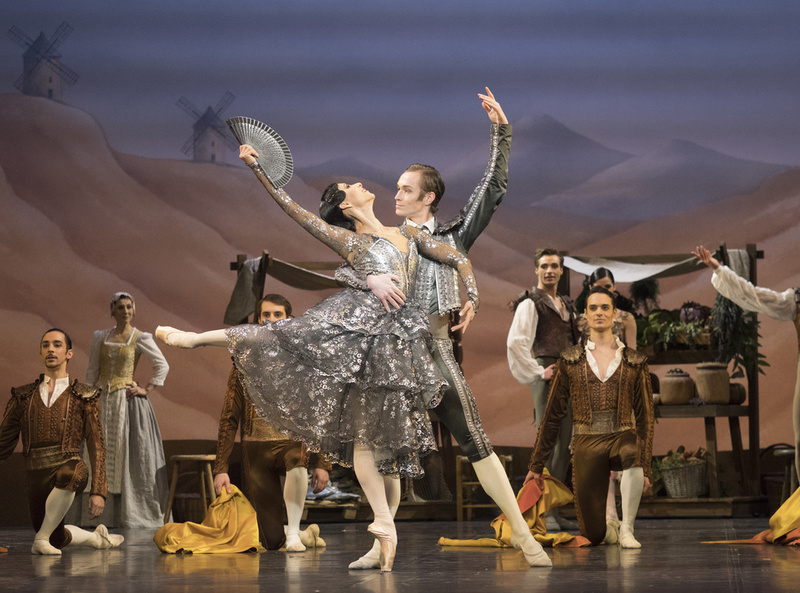 I love the title roles in Angelin Preljocaj's Snow White and John Cranko's Romeo and Juliet. And Tatiana from Onegin is one that really has everything, because in every act you have different emotions. It's like living a whole life through the ballet. 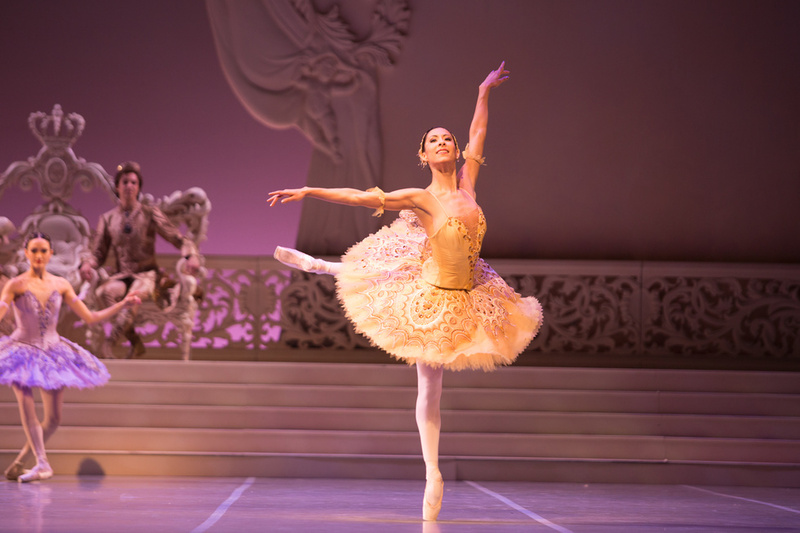 Cabrera in Nacho Duato's "Sleeping Beauty." Yan Revazov, Courtesy Staatsballett Berlin. German food, yes or no? Yes. It's not my favorite, but in really traditional little towns—homemade cooking, potatoes and mushroom sauce—it's amazing. Have you found authentic Mexican food in Berlin? I always have my Virgin de Guadalupe, a small figurine my mother gave me. I have one in my dressing room and one that is always in my makeup box. Before I go onstage, I touch it, and I always pray. What is your advice for young dancers? You need to have a lot of discipline. Once you get into a company, you don't have a teacher pushing you; you have to do it yourself. But it's not just discipline—this is a career that you need to love. It's the only way to enjoy it and to understand all the pain.